Next Level Tuning, Inc. has been in business for over a decade. Simply put, throughout our years of experience, we have discovered “what works” and “what does NOT”. It is our belief that the best way to ensure your satisfaction, as well as uphold our reputation, is to let our work and the products we stand behind, speak for themselves. In today’s marketplace of “big business,” companies place a large importance on profit margins and sale numbers. Our business philosophy views all of our customers and their vehicles as the individuals that they are. We have been described by many as, “One of the few that still do business in an old-school fashion,” which we truly take great pride in doing. No matter how large or small, complex, or simple, NL Tuning welcomes the opportunity to provide a quality experience to all of our customers. Throughout the past decade, our customer relationships continue to grow through the Pennsylvania, West Virginia, Maryland, Ohio, and New York regions. With that said, we would sincerely like to thank all of our customers for their continued support, as we have witness the coming and going of numerous business “competitors” over the years. As we continue to grow and mature with the passing of each year, it is our goal to continue to grow our relationships with our customers. It is equally important to us to establish a solid foundation with not only our customers, but the entire European car community. APR is a company dedicated to the research and development of the the industry’s finest upgrades for Volkswagen and Audi. APR has made insurmountable strides within the past decade and has because the industry leader in programming and technology. APR has also developed an impressive line of additional aftermarket performance parts and upgrades. Our extensive experience as an authorized APR distributor allows our customers the absolute best possible experience. United Motorsport is an industry leader in custom ECU software for Volkswagen and Audi vehicles. Performance software for your VW / Audi will help bring your car to the next level in custom tuning performance. Whether you’re looking to add a little more power to your naturally aspirated motor or push the limits with a high boost forced induction setup, UM has the software to make it possible. Carbonio offers the highest quality carbon fiber intake systems on the market. Their belief is as follows; a more refined design and development procedures coupled with the use of advanced materials, allows for the productions of a superior system. From this philosophy, the Carbonio Cold-Air Intake Systems have become the finest product available. South Bend Clutch prides themselves in providing a quality product back by three generations of knowledge and experience. SBC is dedicated to ensuring customer satisfaction with not only their products, but with their service and pricing. Much of their time and energy has been spent engineering new products to improve your driving experience. SBC’s vast line of clutches utilizes the newest technology the industry has to offer. Whether you drag, street race, or want the utmost confidence in your clutch components, South Bend Clutch will have the right applications for you. Mr. Gary Peloquin gained widespread recognition among the automotive industry with the Limited Slip Differentials he produces. Per our experience, it is easy to see why they have gained notoriety and acknowledgement. The Peloquin’s differentials are consistently well designed and manufactured including the necessary components, at a reasonable cost. NewSouth Performance provides innovative performance accessory components for Volkswagen and Audi. NewSouth has superior products that enhance performance gauge styling and gauge applications for your vehicle. From a standard gauge and pod applications, to their specific color matched indigo gauges, NewSouth has the best looking and most affordable VW/Audi gauge kits on the market. Hotchkis Sport (H-Sport) is one of the leading producers of high quality suspension systems engineered for European performance and sport compact vehicles. Today’s European performance vehicles can greatly benefit from the installation of H-Sport aftermarket suspension components. These components are engineered to enhance your driving experience by increasing vehicle stability, handling, and overall maneuverability. KONI is the premier manufacturer of adjustable shocks worldwide. Koni shocks are made from the highest quality materials and machined to the highest tolerances. KONI has numerous suspension applications and options for European vehicles. KONI can provide options beginning with basic shock replacement to fully adjustable coilover suspension kits. KONI’s FSD dampers are taking shock technology to the next level of performance and comfort. Techtonics Tuning has been providing well made products at a reasonable price for as long as we can remember. TT products are always noted for the engineering that is required for these components to do exactly what they are supposed to; allow proper fitment and ease of installation, while being made with quality craftsmanship. 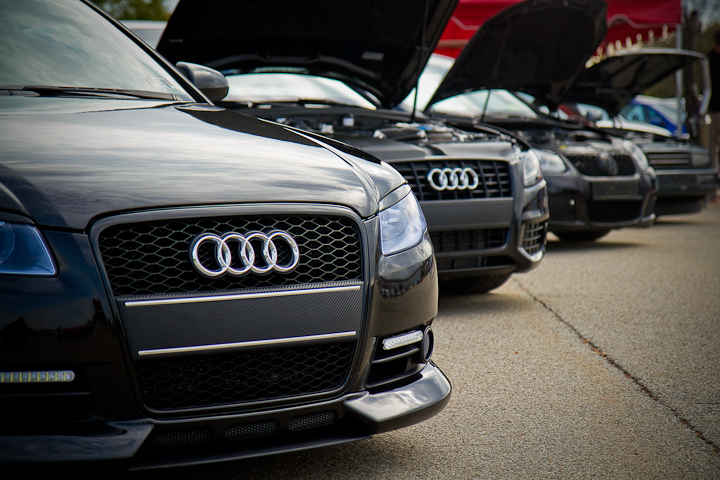 TT has grown over the years and now offer a product line for Audi. With the potential for engine swaps / conversions, TT also has designed systems to work with your swap setup. Autotech has been providing and producing quality parts for the VW community since 1983. Autotech Sport Tuning has specialized exclusively in performance tuning of water-cooled VW’s and has gained extensive experience in the industry. This experience has led to the consistent production of quality aftermarket VW products. Over the last fifteen years Forge Motorsport have grown in to one of the UK’s premier manufacturers of products and accessories for race, competition and road vehicles. Forge offers products such as intercooler, silicone hoses, brake kits, turbo accessories, and much more. All Forge production is carried out in house on state of the art CNC machining centers by skilled programmers. Our fabrication department produces some of the best intercoolers, fuel tanks and induction kits on the market. With this expertise on hand we are proud to supply our products to several F1, WRC, Le Mans teams, also several main OEM manufacturers.